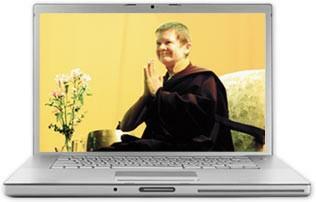 Pema Chodron Live Streaming Successful. DVD Now Available. Here is AVC’s Stu Sweetow explaining how the live streaming process went, including a problem that presented itself about an hour before scheduled webcast time.